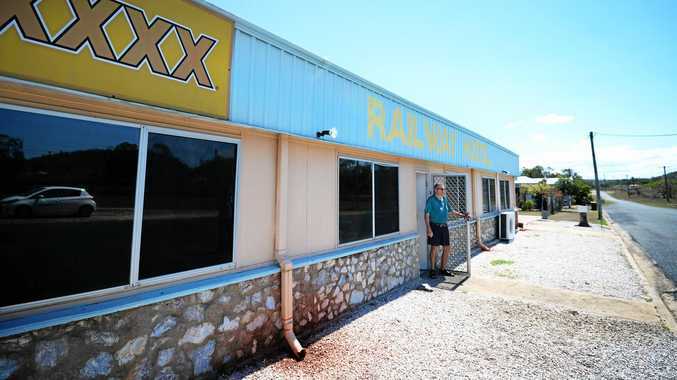 TWENTY years ago, 10 customers through the doors of the Railway Hotel at Marmor would be considered a "bad day". These days the bad days are becoming even worse, publican Frank Seymour-Smith says. Some days he is lucky to see one person. Mr Seymor-Smith has owned the hotel for 22 years and has seen the "ups and downs of business". He is adamant it is not the drought that is causing the demise of his pub. He says the four rules publicans face are electricity, licensing fees, insurance, and council rates. Last week, the nearby Bouldercombe Hotel shut down and Mr Seymour-Smith has heard it was due to rising electricity costs. But he says at the Marmor pub, electricity is the least biggest issue for him. Mr Seymour-Smith put in solar panels to help reduce costs about 10 years ago. His biggest problem is licensing fees. The main gripe is that he pays the same liquor licensing fee as someone in the centre of Brisbane. "I pay nearly $4,000 a year... it is not based on any volume or purchase," Mr Seymour-Smith said. Mr Seymour-Smith, who has owned three other pubs before he took over Marmor in 1997, said it used to be calculated on your situation and size of the pub. "It worked out more even then," he said. 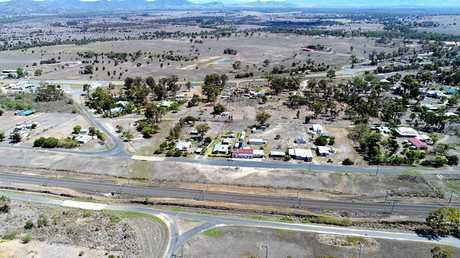 Marmor is located south of Rockhampton on the Bruce Highway. In the 2011 Census, it had a population of 205 people. The only business visible from the main highway is the BP service station. To enter the town itself, you need to turn off the highway. The town survived on the railway and then later the limestone mine. 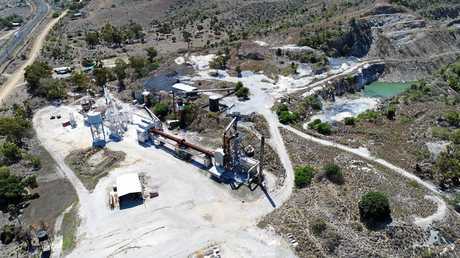 The Marmor limestone mine was opened in the early 1900s and had its own limestone kiln and processing plant. It was a major employer with up to 150 men. At the time, the mine's main purpose was to supply lime to Mount Morgan. It later became used for soil acidification in agriculture. Mr Seymour-Smith said the mine was closed down two years ago and this made a "big hole" in the township. It was another hit for the rural pub as there were less people in town. These issues combined together and other surrounding factors have led to the situation Mr Seymour-Smith is now in. "I don't believe the drought has had much effect on us...if people want to buy a carton of beer they will," he said. "I just blame it on the general downturn in the economy. "The costs we can't control that keep rising." 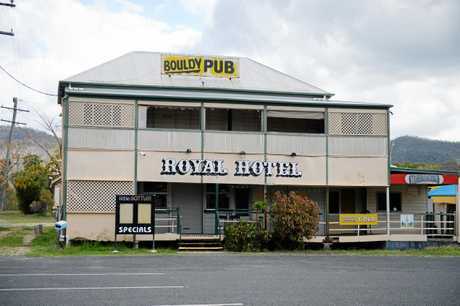 The pub is now making 40 per cent of what it was making three years ago, Mr Seymour-Smith said. "It was a lot better (when he first bought the pub)... it's only in the last three years it has declined as rapidly as it has," he said. What Mr Seymour-Smith would like to see is something open up in Marmor and bring a boost back to the small community. There has been talk of live cattle export and a coal terminal out of Port Alma which would be great, he said. 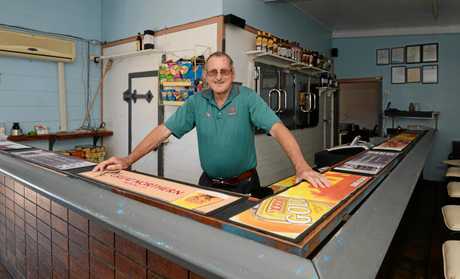 Given his age and current profit margins which are drastically outweighed by outgoing costs, Mr Seymour-Smith says he pictures the pub closing when it is time for him to retire. "I don't know how much longer I can keep it open.... few more years I don't mind," he said. "We're just not making any money. "No one would make enough money out of the place to take it on as it is the way it is."